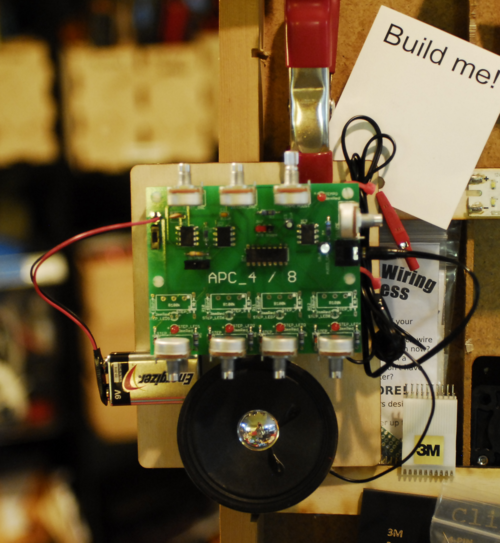 Intermediate Workshop : Build A Synthesizer! Everybody likes music! Now is your chance to get some hands on experience and insight on how sounds can be generated electronically and manipulated to make different tones and effects. 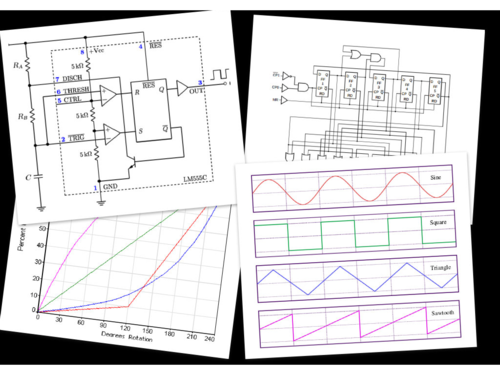 In our newest intermediate level workshop we will teach you the fundamentals of wave forms and oscillation while we show you how to build the ever popular Atari Punk Console. We wouldn’t feel right just showing people a dry noise maker so we have added a twist and implemented a sequencer into our version! The workshop fee of $60 includes an APC_4 kit and 2.5 hours of instruction. A background in electronics helpful but not necessary But the ability to solder is. Space is very limited and this workshop will fill up extremely fast so keep a couple hours of your evening of Sunday November 25th open (7 to 9:30 pm) and give us a call at (206)357-9406 or stop by the shop and check us out if you haven’t already!